Imagine getting a smartphone with bezel-less display, 6GB RAM and dual-lens camera for Php 12,995. 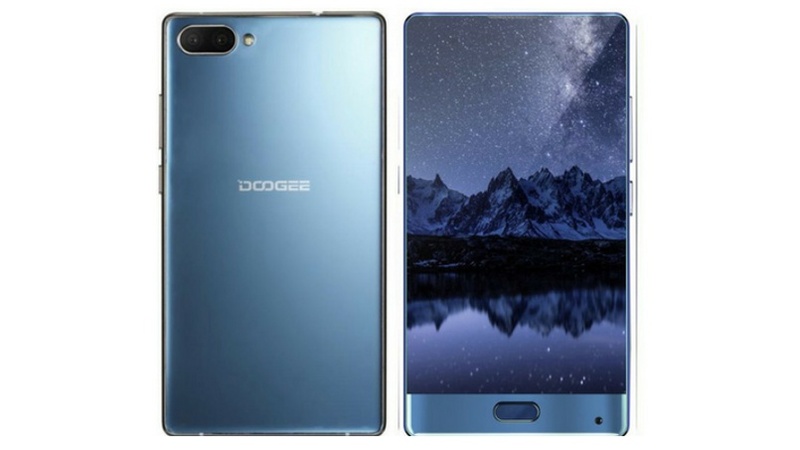 Doogee Mix is the other bezel-less smartphone in the Philippines apart from the Samsung Galaxy S8/S8+ and the Xiaomi Mi Mix. But the Doogee Mix is shaping up to be the most affordable handset among the pack. It also comes with appealing features and some shortcomings. The Doogee Mix features bezel-free screen on the top and the sides of the front panel. It comes with a 5.5-inch Super AMOLED display. However, the drawback of the display is that it only features an HD panel, this scales up to 267ppi pixel density. When it comes to the hardware, the Doogee Mix isn't too shabby with the MediaTek Helio P25 chipset. The SoC features four 2.5GHz Cortex-A53 and another cluster of four 1.6GHz Cortex-A53 CPU. It's graphics processor is the Mali T-880 MP2 which ticks at 1GHz speed. It's shortcoming in the display could easily be waived with its 6GB RAM and looking at the price standpoint, it could be the most affordable handset with 6GB RAM. There's a 4GB variant if you're running with a budget. The Doogee Mix is also geared up with dual-camera module - a 13MP Samsung ISOCELL sensor and an 8MP secondary lens. The rear camera module comes with Phase Detection AF and LED flash. Having a dual-lens set-up, it is also capable of producing Bokeh or blurred-background shots. There's also a weird placement of the 5MP front-facing camera. It is situated in the right-hand corner of the front panel which makes odd selfie outputs. The Doogee Mix is powered by a 3380 mAh battery and Android 7.0 Nougat. There's also a fingerprint sensor below the display and a beefy set of connectivity options. The Doogee Mix 4GB RAM variant is priced at Php 11,995; while the 6GB RAM version comes with an asking price of Php 9,995. It's now available in Lazada.